Greison Storage Mart is a safe and secure place in Werz Blvd to store your personal belongings. We providing residential and commercial storage solutions for over 20 years. Call us today to learn more about our self storage options. Greison Storage Mart is a safe and secure place in Werz Blvd to store your personal belongings. We providing residential and commercial storage solutions for over 20 years. Call us today to learn more about our self storage options. Lineage Savannah 1 operates as a public port warehouse featuring the greatest blast freezing capacity and most dynamic cold storage capabilities in the Savannah region. Lineage FRS Savannah specializes in the import and export of protein products and food service distribution. The facility is rail served and is located minutes from I-95 and the Port of Savannah. Lineage Savannah 1 operates as a public port warehouse featuring the greatest blast freezing capacity and most dynamic cold storage capabilities in the Savannah region. Lineage FRS Savannah specializes in the import and export of protein products and food service distribution. The facility is rail served and is located minutes from I-95 and the Port of Savannah. The Lineage San Antonio campus features public warehouses providing cold and refrigerated storage capacity for food processors and for distribution. Lineage TFL San Antonio offers on-site processing and multi-temperature rooms. Its operations are conveniently located near the center of San Antonio with superior access to the region's consumer base. The facility is also rail served and provides access to major highways. The Lineage San Antonio campus features public warehouses providing cold and refrigerated storage capacity for food processors and for distribution. Lineage TFL San Antonio offers on-site processing and multi-temperature rooms. Its operations are conveniently located near the center of San Antonio with superior access to the region's consumer base. The facility is also rail served and provides access to major highways. Lineage Logistics is a warehousing and logistics company built to deliver sophisticated, customized, and dependable cold chain solutions. The Lineage Fort Worth campus features dry and refrigerated public storage warehouses supporting a variety of customers. Lineage Logistics is a warehousing and logistics company built to deliver sophisticated, customized, and dependable cold chain solutions. The Lineage Fort Worth campus features dry and refrigerated public storage warehouses supporting a variety of customers. Lineage Logistics is a warehousing and logistics company built to deliver sophisticated, customized, and dependable cold chain solutions. 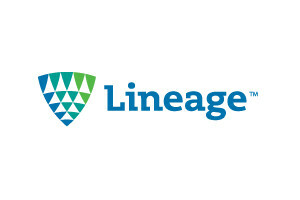 Lineage University Park operates as a public cold storage warehouse supporting a variety of customers. Lineage Logistics is a warehousing and logistics company built to deliver sophisticated, customized, and dependable cold chain solutions. Lineage University Park operates as a public cold storage warehouse supporting a variety of customers. Lineage Colton 1 is one of the business line of Lineage Logistics Holdings, LLC. A warehousing and logistics company built to deliver sophisticated, customized, and dependable cold chain solutions. It operates as a public cold storage for local Southern California frozen food manufacturers. The facility offers services for storage and efficient distribution to local markets. Lineage Colton 1 is one of the business line of Lineage Logistics Holdings, LLC. A warehousing and logistics company built to deliver sophisticated, customized, and dependable cold chain solutions. It operates as a public cold storage for local Southern California frozen food manufacturers. The facility offers services for storage and efficient distribution to local markets. Cool Box Portable Storage delivers portable storage solutions for residential or business moving, and for temporary or long-term portable storage at your location or at ours. Compare us to PODS. Cool Box Portable Storage delivers portable storage solutions for residential or business moving, and for temporary or long-term portable storage at your location or at ours. Compare us to PODS. Lineage Riverside is one of the business line of Lineage Logistics Holdings, LLC. A warehousing and logistics company built to deliver sophisticated, customized, and dependable cold chain solutions. The Lineage Riverside campus features public cold storage warehouses supporting local Southern California frozen food manufacturers. The campus offers services for storage and efficient distribution to local markets. Lineage Riverside is one of the business line of Lineage Logistics Holdings, LLC. A warehousing and logistics company built to deliver sophisticated, customized, and dependable cold chain solutions. The Lineage Riverside campus features public cold storage warehouses supporting local Southern California frozen food manufacturers. The campus offers services for storage and efficient distribution to local markets. Lineage Colton 2 is one of the business line of Lineage Logistics Holdings, LLC. A warehousing and logistics company built to deliver sophisticated, customized, and dependable cold chain solutions. It operates as a public cold storage for local Southern California frozen food manufacturers. The facility offers services for storage and efficient distribution to local markets. Lineage Colton 2 is one of the business line of Lineage Logistics Holdings, LLC. A warehousing and logistics company built to deliver sophisticated, customized, and dependable cold chain solutions. It operates as a public cold storage for local Southern California frozen food manufacturers. The facility offers services for storage and efficient distribution to local markets.